Safehaven Parrot Refuge is a British Registered Charity (No: 1075873) founded by Christine and Paul Forman, to help birds in distress and in need of re-homing for many varied reasons. When Christine & Paul started up the Refuge they didn't forsee the great demand there would be for this type of care and to find homes for the many different birds brought to them for re-homing. Because of this, new Area Centres have been started up, and we hope to have Area Co-ordiators in every County of the UK within the very near future. Safehaven's activities are controlled by the Board of Trustees and The Charity Commission for England and Wales. We provide homes for companion birds whose owners through bereavement, disablility, old age and many other reasons can no longer give them the time or the care they require. Birds are also rescued from cruetly, abandonment and abuse. Unfortunately, many people purchase parrots without researching their prospective pets properly. As a result, they are surprised by and fail to cater for the unusual longevity of parrots (for instance, the Macaw lifespan is longer than a human's) so that the death of the owner becomes a problem. As the owners become elderly and more frail they become less and less able to provide the care, attention and play that their pets require. They also begin to worry about what will happen to their companion birds after they die. Safehaven Parrot Refuge gives these people peace of mind by providing assurance that there will be a caring and loving home for the birds. 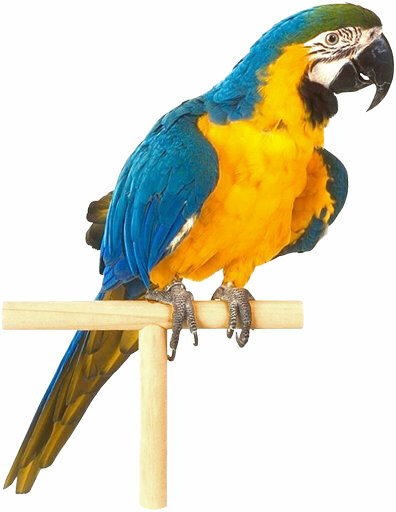 In other cases, people may have bought Macaws and found they are unable to cope or put up with the damage these big birds can do to furniture, or Cockatoos without realising how noisy and attention-demanding these affectionate birds can be. Christine and Paul have been keeping large Macaws for over 22 years. Their devotion and concern for these birds brought SPR into existence and has made it the largest, reputable organisation of its kind. Safehaven Parrot Refuge is very fortunate indeed to have Neil Forbes Bvet.Med.DipECAMS.FRCVS as their Avian Veterinary Surgeon as well as their Patron. If you would like to know more about becoming a member of SPR then click here.